St. Christopher’s honors the rich tradition of music and worship in the Episcopal Church – worship that challenges our intellect, touches our hearts and lifts our spirits. 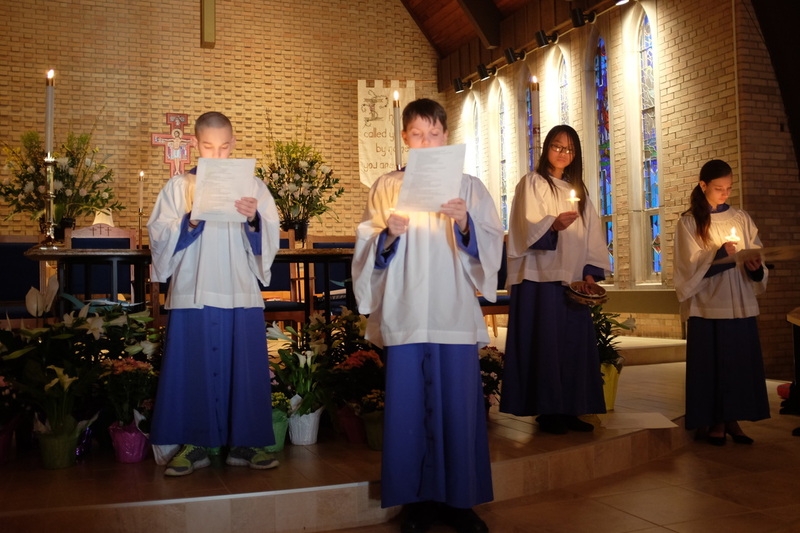 We offer a full complement of activities for those who wish to join us in celebrating our faith. There are choirs and handbells for every age, as well as opportunities to play an instrument. Along with our morning worship, we present an evensong or two each year, and the whole congregation turns out to celebrate the coming of Christmas at our annual Festival of Lessons and Carols. 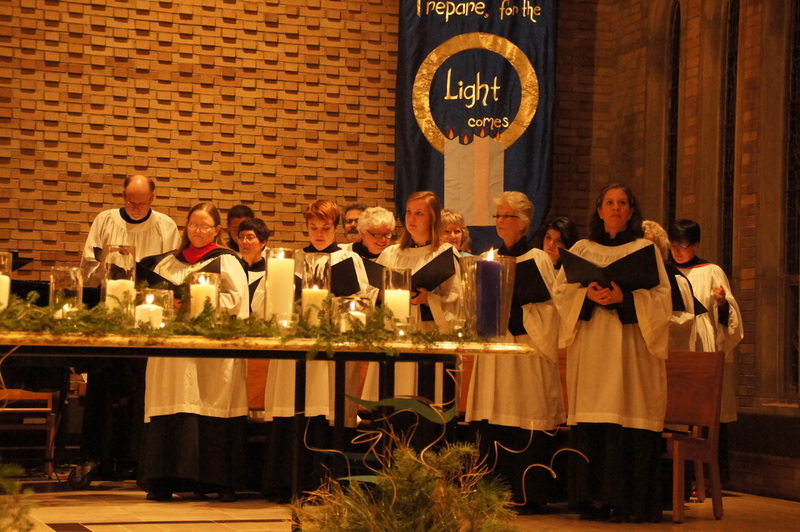 Additionally, concerts and recitals are held in our newly renovated sanctuary. 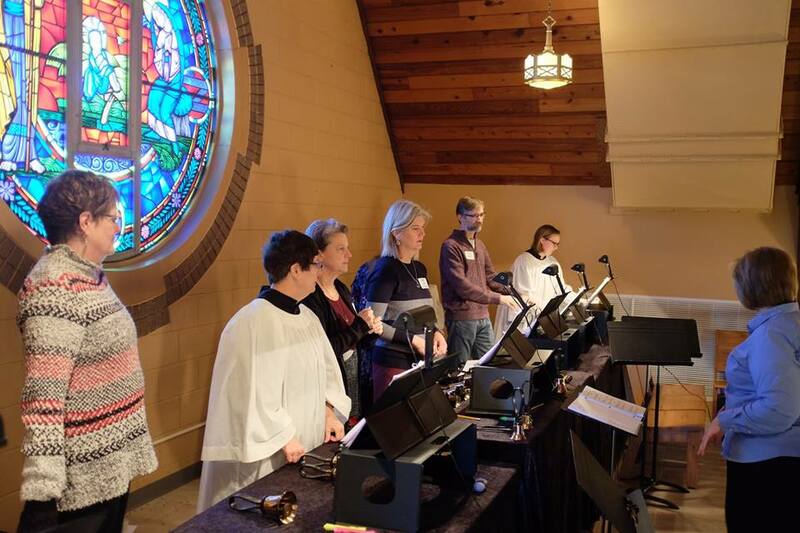 When you worship with us, you’ll hear lots of traditional Anglican hymns, as well as a wide panoply of ecumenical favorites and global styles from other traditions. And St. Christopher’s loves to sing. God designed our bodies to respond physically when we sing together and that response helps us to feel a sense of connectedness with our fellow worshippers. Really. Recent research on music and the brain has shown that the brain produces unusually high levels of the hormone oxytocin when we sing, and especially when we sing with others. That oxytocin leaves us feeling warmly connected to the folks around us. So, whether we sing vigorously or timidly, perfectly in or out of tune, we have been programmed by God to feel that connection to the people around us as we sing. Come and be connected! The heart of our music program, the Parish Choir has a long history of singing the Anglican cathedral and European classical repertoire, lending beauty and a sense of wonder to our worship. We’ve sung in some of the finest cathedrals in England, but that doesn’t prevent us from welcoming new members to our midst. You are are always welcome to join us as we prepare Renaissance motets, Baroque chorales and sacred anthems from the church’s glorious past. We also explore the American tradition from the New England Psalm singers to Southern Harmony; to the songs of slavery, sacred jazz and contemporary gospel. And we’ll sing global music from Christian traditions around the world, making their music, language, rhythm and instrumentation our own. Bells have been the sound of the church for centuries, calling Christians to worship, honoring the dead, wildly celebrating a happy event. Today we add color to our worship, whether playing an offertory or enhancing a hymn. We rehearse twice a month and will happily welcome any newcomer from teenagers up, though it does help if you already read music. The experienced ringers among us are very patient and will have you ringing with confidence in no time! More than a mere children’s choir, this group rehearses on Sunday mornings as a part of Sunday School. We will prepare anthems for worship, wear robes and lead the congregation in song, while learning about our Episcopal heritage. Special focus will be placed on providing a wide variety of experiences beyond just singing. We have Orff instruments, resonator bells and whole menagerie of percussion instruments. We make an annual outing to sing at the Episcopal Homes with bowling and pizza thrown in. We also prepare a dramatic sermon for morning worship. All of this in a spirit of cooperation and camaraderie, working together to achieve our goals: to inspire the children with a love of God and a heart to sing, play and serve in God’s house.